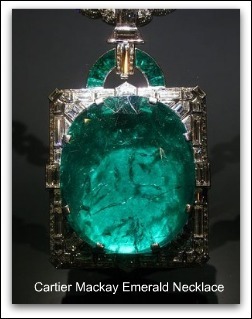 The following Jewelry Resources, we of Antique Jewelry Investor and our Visitors have found to be a mine of wealth. Jewelry Measurement Converter - This jewelry resource converts units of measurements commonly used in jewelry. International Ring Conversion Charts - Convert your ring size to the ring size used in other countries. Gold prices are based on pure gold, 24 karats. Most Jewelry is 14 karat, 18 karat. That's why, gold jewelry, less than 24 karat is worth only a proportion of the 24 karat gold price. A 14k gold necklace is valued at 58.5% of the 24 karat price of gold. US Jewelry Marks 1922 - From the Jeweler's Index 1922 edition. This annual index by Keystone Publishing contained US jewelry marks and other reference material from the late 1800s to early 1900s. UK Dealers Notice - In the UK it is illegal to sell or describe any item as Gold, Silver or Palladium unless it's hallmarked. Gold Hallmark Wizard - Whilst every effort has been made to ensure its accuracy, gold traders offer no guarantees. Steve's Guide to British Hallmarks - A useful guide to hallmarking in Great Britain. Franks Bequest - Catalogue of the finger rings, early Christian, Byzantine, Teutonic, Medieval and Later. Pewterbank - information, for your enjoyment of pewter plates, mugs, measures and more. Full text of rare books about gemstones and pearls - FREE! Gods, Goddesses & Mythology - good resource for antique cameo information & greek mythology. Gemstone Shoppers - Information on how to assess the quality and value of gemstones, precious, secondary precious and semi-precious. How to Choose a Diamond - A step by step guide to choosing a diamond online. French Audio Dictionary - French Terms with Definitions and Sound Files included in the Jewelry Resources. French Antique Jewelry is much sought after today. New Jewelry Resources are being continually added to this page.